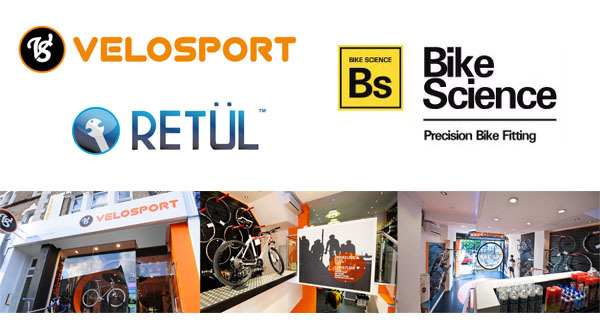 We’re delighted to announce the forthcoming opening of our fifth Bike Science Retul precision bike fitting studio in partnership with Velosport. The new studio based in Putney, South West London is scheduled to open on Saturday the 16th of July. More details of the studio and of our new bike fitter Adam to follow over the coming weeks both here and on our Facebook Page. Just a few minutes ride from Richmond Park the new studio will be equipped with Retul, the world’s most accurate bike fitting system. Adam will be Retul certified by the opening date and will be visiting Bike Science Bristol in the coming weeks for training with head fitter Andy Sexton. Online Booking available from the 1st of June. Bike Science are the only company to offer a national network of Retul certified fitters throughout the UK. Each bike fitting studio is equipped with Retul motion capture technology, allowing our highly trained and experienced fitters to offer the best possible level of bike fit service. Working with all levels of rider from beginner to elite we specialize in working with cyclists to improve position, posture, technique and strength. This entry was posted on Thursday, May 10th, 2012 at 2:08 pm	and is filed under All Posts, Bike Fitting. You can follow any responses to this entry through the RSS 2.0 feed. Both comments and pings are currently closed.